As one of the newest members of our team, Matt Yankus is excited to bring his experience and dedication to each project he tackles. Matt is a local Omaha guy, whose interest in construction started at an early age. As a kid, with his woodworking father, Matt built a tree house in the yard and his interest blossomed from there. He furthered his interest in buildings by joining the engineering team at Gross High school. After graduating, Matt attended University of Nebraska Omaha, earning a degree in Construction Management with a minor in Business. His education put him on a path which opened doors to the commercial building construction industry. This experience allowed the opportunity to participate in projects for healthcare facilities and national brands, such as McDonalds and Gordmans. He currently is HAAG certified, is EPA lead abatement certified, and is a member of the Member of the Associated General Contractors of America. Matt currently helps us with both residential and commercial projects in Omaha, including roofing,remodeling and restoration. He embodies our values of customer service. Total: Matt, what do you like best about working for Total Construction Services? Matt: I really enjoy the opportunity to meet with homeowners to discuss plans, implement ideas, and solve the needs of our customers. With a background in commercial contracting, I didn’t always have the opportunities to do think creatively about projects. Total: We really appreciate that you, as a project manager, are willing to throw on the tool belt to help meet deadlines. When people consider Total Construction Services in Omaha, what can they expect? Matt: Well, we aren’t a typical construction company. 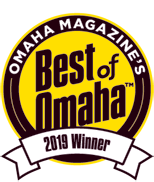 We are genuine, and consider all options for your Omaha home’s roofing, remodeling and restoration. We help look at the best options with our customers and discuss cost and outcome. We can literally do any project for a customer. “Total” really applies to any and all projects we do. We want to thank Matt for taking the time to share his thoughts. Feel free to ask for him by name for your next project. Contact Total Construction Services today.